The seizure of Goma by the Mouvement du 23 Mars rebellion in November 2012 has precipitated a review of the peace strategy implemented in the Democratic Republic of the Congo (DRC) and the Great Lakes region thus far. As a result, the Congolese government and other peace stakeholders in the Great Lakes region and beyond signed the Addis Ababa Peace and Security Cooperation (PSC) Framework in February 2013, paving the way to the adoption, a month later, of Resolution 2098 by the United Nations (UN) Security Council. Notwithstanding the constructive criticisms these two policy documents have received due to, amongst other things, the shortcomings they may harbour, this article argues that the Addis Ababa PSC Framework and Resolution 2098 have the potential of instilling a new dynamics into the search for peace and stability in the DRC and the Great Lakes region. Rather than dismissing them for their possible inadequacies, these two policy documents ought to be embraced as important stepping stones in the much needed overhaul of the peace strategy that has dominated peacemaking and peacebuilding initiatives in the DRC and the Great Lakes region in the past two decades. On 20 November 2012, the Congolese rebel movement known as the Mouvement du 23 Mars (M23) took over control of the city of Goma from the Congolese government. However, the M23 rebellion actually started as early as April 2012 when a number of soldiers who previously served under the banner of the Congrès National pour la Défense du Peuple (CNDP) between 2006 and 2009 mutinied from the Congolese national army before establishing the M23 a month later. The M23 thus derives its name from the peace agreement signed between the DRC government and the CNDP on 23 March 2009 in the city of Goma. This agreement aimed at ending the rebellion waged by the CNDP against the government with the former accusing the latter of failing to protect the country’s Tutsi population from the threat of extermination posed by the Rwandan Hutu rebels of the Forces Démocratiques pour la Libération du Rwanda (FDLR). The official motive behind the former CNDP combatants’ mutiny and their subsequent decision to establish the M23 thus centred on the displayed lack of willingness on the part of the Congolese national government to fully implement the March 2009 peace agreement (CNDP 2012). But beyond mere motives for the war, the take-over of Goma by the M23 brought to the fore the question of the relevance and adequacy of the ongoing stabilisation process in the DRC. Firstly, it was an indictment to the Congolese national security forces, who were still incapable of guaranteeing internal security and protecting the country’s borders. Secondly, the M23 ‘prowess’ raised uncomfortable questions regarding the suitability of the overall peace strategy of the United Nations (UN) – through its large mission in the country, the Mission de l’Organisation des Nations Unies pour la Stabilisation en République Démocratique du Congo (MONUSCO). Thirdly, the Goma crisis also became an endless reminder of the regional intricacies belying the persistent instability in eastern DRC at a time when Rwanda and Uganda stood accused of providing logistical, financial, tactical and human support to the M23 (UN Group of Experts 2012). There was thus consensus among Congolese socio-political stakeholders and their external partners that the take-over of Goma by the M23 constituted a turning point towards the adoption of a new approach in dealing with the continued instability in eastern DRC.1 It is in this context that the governments of the DRC and nine other countries from the International Conference on the Great Lakes Region (ICGLR)2 as well as South Africa signed the Peace, Security and Cooperation Framework for the Democratic Republic of Congo and the region (henceforth the Addis Ababa PSC Framework) in Addis Ababa on 24 February 2013. The signing of the Addis Ababa PSC Framework was facilitated by the UN Secretary-General, Ban Ki-Moon, and paved the way to the adoption of Resolution 2098 by the UN Security Council on 28 March 2013. Whereas the Addis Ababa PSC Framework lists specific actions to be carried out by the DRC government, regional states and the international community in their ‘synchronised’ effort toward peacemaking and peacebuilding in the Great Lakes region, Resolution 2098 provides the legal framework for the deployment within MONUSCO of an ‘intervention brigade’ empowered, under Chapter VII of the UN Charter, to neutralise and disarm all armed groups still posing a threat to state authority and civilian security in the DRC’s North Kivu province. This article analyses the Addis Ababa PSC Framework and the UN Security Council Resolution 2098. It interrogates their ability to deliver on their ambitious promise of contributing decisively toward the search for peace and stability in the DRC and its surrounding Great Lakes region. The central argument of this article is that, notwithstanding the shortcomings they may harbour, the Addis Ababa PSC Framework and Resolution 2098 have the potential of instilling a new dynamics into the search for peace and stability in the DRC and the Great Lakes region. In this regard, rather than dismissing them for their possible inadequacies, this article calls for an embrace of these two policy documents as critical stepping stones in the much needed overhaul of the peace strategy that has dominated peacemaking and peacebuilding initiatives in the DRC and the Great Lakes region in the past two decades. Before turning to a detailed analysis of the Addis Ababa PSC Framework and Resolution 2098, it appears important to lay the background to the article by revisiting the evolution of the DRC since the official end of the power-sharing transition in December 2006. It has been argued elsewhere that, given its sheer levels of destruction, the Second Congo War (1998-2003) qualifies as the world’s deadliest conflict since World War II (Malan and Porto 2004:1). 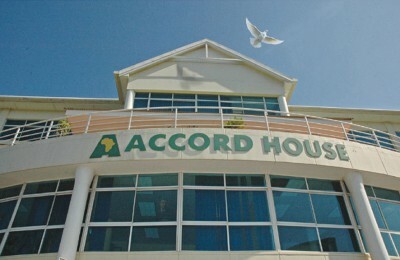 In this context, the peaceful deconstruction of the overall conflict3 behind the war (as symbolised by the signing of the 1999 Lusaka Ceasefire Agreement and the 2002 Global and Inclusive Accord) represented one of the most commendable instances of successful peacemaking intervention on the African continent in recent years. But of importance as well was the successful completion of the all-inclusive power-sharing transition mechanism that managed the DRC between July 2003 and December 2006. Conceived as a confidence-building tool for the divisive Congolese parties to the Global and Inclusive Accord, the infamously complex power-sharing mechanism enabled the DRC to hold its first competitive multiparty and democratic elections in 41 years. The completion of the transition brought about widespread optimism among the Congolese population and international peace stakeholders with regard to the possibility of consolidating peace in the country. In fact, one of the assumptions behind the international community’s commendable involvement in the success of the 2006 elections was that the latter would not only resolve the problem of deficient legitimacy of the ruling class (considered as one of the causes of the conflict), but also provide international interveners with a clearly identifiable and coherent government with which to partner in the peacebuilding process. One among many critical pillars on which the post-transition peace efforts in the DRC were expected to be grounded was, of course, the reform of the country’s security sector. In this regard, efforts geared toward the establishment of a new and integrated security sector in ‘post-war’ DRC started as early as the very establishment of the transitional institutions. However, just as was the case with the civilian/political sphere, if not even more, the process of defining a new consensual framework for the reform of the Congolese security sector was very protracted and fraught with long-drawn-out disagreements and uncertainties. As Reyntjens (2007:310) observes, ‘[a]lthough a new integrated general army staff was theoretically put in place in September 2003, command structures remained divided and the merging of the former government forces and the rebel groups into a national army proved difficult on the ground’. The most significant stumbling block to the entire Demobilisation, Disarmament and Reintegration (DDR) process was undoubtedly the refusal of a number of former senior military officers (mostly Tutsi) of the Rassemblement Congolais pour la Démocratie – Goma (RCD-Goma) to be deployed outside the Kivu region (citing security concerns), followed by their call for a differentiated DDR process for their troops, to be based on mixage4 rather than the agreed upon brassage.5 The disagreements between the transitional government and these reluctant RCD-Goma military officers led to the establishment of the CNDP by renegade General Laurent Nkunda on 26 July 2006. On its part, the March 2009 Goma Peace Agreement only involved the DRC government and the CNDP under the leadership of General Bosco Ntaganda. The latter had just wrested the control of the rebellion from its politico-military leader, General Laurent Nkunda, as the two disagreed over the necessity of entering into direct peace negotiations with national government. The Agreement provided, amongst other things, for the transformation of the CNDP into a political party, an amnesty for crimes committed by its forces during the war (excluding war crimes, crimes against humanity and acts of genocide), the appointment of some of its civilian leaders to politico-administrative positions in the provincial (North Kivu) government as well as the integration of its combatants into the national army through the mixage process. The Acte d’engagement and the Goma Peace Agreement paved the way to the dissolution of the CNDP and several Mai-Mai groups followed by the reintegration of several of their combatants into the national army. However, difficulties arising from the mixage strategy and government ineffectiveness as well as the non-completion of the security sector reform process meant that the Kivu region remained unstable in spite of the signing of these two peace agreements. Within a year of the signing of the Goma Peace Agreement, not only did the majority of armed group signatories of the Acte d’engagement ‘re-become’ active, but also the number and size of armed groups in Kivu continued to increase exponentially (Vlassenroot and Raeymaekers 2009:480-481). In the meantime, while the mixage process had brought about parallel lines of command within the military, the Forces Armées de la République Démocratique du Congo (FARDC) continued to be notorious for their ill-discipline. Both these factors were significantly hampering their ability to carry out their crucial mandate of neutralising and disarming ‘negative forces’, which functioned as peace spoilers in eastern DRC. The M23 was established on 6 May 2012. The majority of its civilian and military leaders as well as rank-and-file combatants were remnants of the CNDP which was itself an offspring of the RCD-Goma, the rebel movement established by Rwanda in August 1998 in its attempt to unseat Laurent-Désiré Kabila following the collapse of the AFDL-led regional alliance that coalesced in October 1996 to topple the Mobutu regime. In fact, the initial communiqué establishing the M23 was signed by the High Command of the military wing of the CNDP, the Armée Nationale Congolaise (ANC), as represented by its spokesperson Lieutenant-Colonel Vianney Kazarama. Furthermore, the communiqué provided that the M23 was simply designed to serve as a stream within the CNDP, which was a huge contradiction to Congolese laws regulating both political parties and the military – emphasising that political parties may not harbour military wings and soldiers may not get involved in politics. In this context, beyond the official claims around the incomplete implementation of the March 2009 agreement between the CNDP and the Congolese government, the main reason for the emergence of the M23 (and even the speedy involvement of Rwanda and Uganda) may be found in President Kabila’s ‘attempt … to rotate ex-CNDP soldiers out of the Kivus in a bid to [both] smash the ex-CNDP parallel chains of command’ within the North Kivu military region and ‘to break up the “mafia” controlling the east of the country’ (Jones 2012b). In fact, a recent report by the US-based Enough Project details the linkage between the M23 rebellion and the race for the control of illegal gold trade networks, worth US$ 500 million per year, in a geographical area extending from North Kivu to the Ituri district (De Koning and the Enough Team 2013). Just like the metaphorical last straw that breaks the camel’s back, the contradictions surrounding the emergence of the M23 as well as the regional support to its rebellion led to a concerted effort for the re-qualification of the peace strategy in the DRC and the Great Lakes region. The result was the signing of the Addis Ababa PSC Framework in February 2013, followed by the adoption of Resolution 2098 by the UN Security Council a month later. The Addis Ababa PSC Framework is a converged expression of commitment by the member states of the ICGLR (joined by South Africa) and the SADC as well as the international community (represented by the UN and the African Union [AU]) to charting a new path toward building sustainable peace in the DRC and the Great Lakes region. It emerged as a response to the persistent instability in eastern DRC (as symbolised by the M23 rebellion) and the continued interferences of neighbouring states, in spite of the signing of several internal and bilateral peace agreements. The Framework therefore contains specific prescriptions to all peace stakeholders in the DRC and the Great Lakes region working toward the return of peace, stability and normality in the DRC and the region. As stated in its very opening paragraph, the motivation behind the formulation of the Addis Ababa PSC Framework stems from the recurring cycle of conflict and persistent violence perpetrated by Congolese and foreign armed groups in the eastern part of the country (Paragraph 1). If anything, the latest crisis in North Kivu, symbolised by the resumption of fighting between the DRC government and the M23, has not only demonstrated that the ‘current’ approach to peace in the DRC is ‘untenable’, but also provided ‘a window of opportunity to address the root causes of conflict and put an end to recurring cycles of violence’ (Paragraph 4). The crisis has thus highlighted the need for a revised stabilisation approach, ‘based on a better understanding of the causes and dynamics of conflict’ (International Alert 2012:12). Entrenched in a regional perspective, the Addis Ababa PSC Framework primarily addresses all member states of the ICGLR sharing borders with the DRC, namely Tanzania, Burundi, Rwanda, Uganda, South Sudan, Central African Republic, the Republic of the Congo, Angola and Zambia. This original group of primary stakeholders is further joined by South Africa as well as by the UN, the AU and the Southern African Development Community (SADC) as secondary stakeholders committed to assisting the primary stakeholders in their effort to make and build peace in the region. To this effect, the Addis Ababa PSC Framework details specific responsibilities to be delivered upon by each of the stakeholders as a condition for the return of sustainable peace to the DRC and the Great Lakes region. In this regard, the government of the DRC is requested to demonstrate renewed commitment to ‘continue, and deepen security sector reform, particularly with respect to the Army and Police; to consolidate State authority, particularly in [the East], including to prevent armed groups from destabilizing neighbouring countries; to make progress with regard to decentralization; to further economic development, including with respect to the expansion of infrastructure and basic social service delivery; to further structural reform of Government institutions, including financial reform; and to further the agenda of reconciliation, tolerance and democratization’ (Paragraph 5.1). 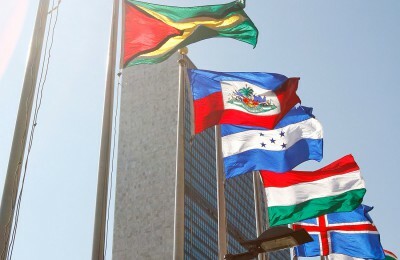 On their part, state signatories to the Framework are enjoined to demonstrate renewed commitment ‘not to interfere in the internal affairs of neighbouring countries; to neither tolerate nor provide assistance or support of any kind to armed groups; to respect the sovereignty and territorial integrity of neighbouring countries; to strengthen regional cooperation including deepening economic integration with special consideration for the exploitation of natural resources; to respect the legitimate concerns and interests of the neighbouring countries, in particular regarding security matters; to neither harbour nor provide protection of any kind to persons accused of war crimes, crimes against humanity, acts of genocide or crimes of aggression, or persons falling under the [UN] sanctions regime …’ (Paragraph 5.2). Lastly, the international community – led by the UN – is requested to provide unfettered support to the DRC government and the other state signatories through a number of activities. Firstly, the UN Security Council shall continue to provide support to the long-term stability of the DRC and the Great Lakes region. Secondly, there shall be a renewed commitment by bilateral partners to remain engaged in supporting the DRC and the region, including with appropriate means to ensure long-term sustainability; and to support the implementation of protocols and priority projects of the Pact on Security, Stability and Development in the Great Lakes region. Thirdly, there shall be a renewed commitment to work towards the revitalisation of the Economic Community of the Great Lakes Countries (CEPGL) and support the implementation of its economic development and regional integration agenda. The UN shall undertake a strategic review of MONUSCO that aims to strengthen support to the DRC government to enable it to address security challenges and extend state authority. Lastly, the UN Secretary-General shall appoint a special envoy to support efforts to reach durable solutions in a multi-track plan that allows the convergence of all initiatives in progress (Paragraph 5.3). In order to promote the inclusive and systemic principles upon which the Addis Ababa PSC Framework is premised and thus ensure the achievement of its overarching goal, a ‘regional oversight mechanism’ is put in place. Comprising the leaders of the 11 state signatories as well as the UN Secretary-General, the Chairperson of the AU Commission, the Chairperson of the ICGLR and the Chairperson of the SADC – all acting as the guarantors of the full implementation of the Framework Agreement, the regional oversight mechanism (also known as the 11+4 mechanism) is tasked with reviewing, on a regular basis, progress with regard to the implementation of the regional commitment outlined in the Framework, ‘with due regard for the national sovereignty of the States concerned’ (Paragraph 7). The regional oversight mechanism is tasked with developing a detailed plan for the implementation of the Framework, including the establishment of benchmarks and appropriate follow-up measures. It is requested to work in close collaboration with the AU, the ICGLR, the SADC and all other international partners, including the European Union (EU), Belgium, France, the United Kingdom (UK) and the United States of America (USA). As the leader of the focus country around which the Framework is designed, the President of the DRC is requested to put in place, within the government, a national oversight mechanism in order to accompany and oversee the implementation of the national commitments for reform contained in the Framework. Working in collaboration with the UN, the AU, the World Bank, the African Development Bank and other bilateral and multilateral partners, the national oversight mechanism would operate in full respect of the sovereignty of the DRC (Paragraphs 9 and 10). Of utmost importance, lastly, was the call for MONUSCO to work closely with the government of the DRC (Paragraph 11). Overall, the Addis Ababa PSC Framework ought to be commended for at least three reasons. Firstly, it places adequate emphasis on the primacy of the DRC government as the key actor in determining the success or failure of the peace plan to be developed (Paragraph 5). Secondly, the Framework adopts a holistic approach toward peacemaking and peacebuilding within the DRC which ought to encompass actions in as diverse areas as the security sector reform, the affirmation of state authority and institutional reforms, decentralisation and democratisation, infrastructure building and the delivery of basic social services, socio-economic development as well as national reconciliation. Thirdly, the Framework clearly spells out the responsibilities of regional states, indicating in the process their responsibility or role in the failure of previous peace plans in both the DRC and the region. Notwithstanding the positive dimensions mentioned above, the Addis Ababa PSC Framework contains a number of grey areas that, if left unchecked, may harden its future full implementation and/or success. To begin with, although centred on the membership of the ICGLR – especially those sharing borders with the DRC – the Framework proposes a problematic definition of the ‘region’ by including South Africa. 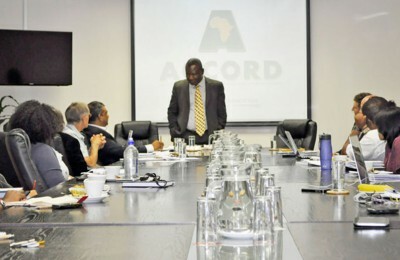 The inclusion of South Africa raises questions not only due to its perceived alignment to the DRC government but also due to the fact that it is not party to the previous pacts and agreements signed within the framework of the ICGLR that the Addis Ababa PSC Framework seeks to complement. Of importance as well is the ‘over-optimistic’ approach adopted by the PSC Framework as it fails – perhaps for diplomatic reasons – to acknowledge that some of the regional states have been at the centre of the disruption of previous peace efforts. It therefore assumes that all regional states will work in harmony toward peace in the DRC and the region by, amongst other things, neutralising Congolese and foreign armed groups identified as the real or perceived peace spoilers. It even goes as far as including all of them into the regional oversight mechanism tasked with developing the implementation plan of the Framework and reviewing its actual implementation. In so doing, the Framework fails to take into consideration the conflicting perceptions some of the state parties or signatories hold of each other’s role in the conflict. Furthermore, in spite of acknowledging that the ‘current path is untenable’, the Framework commits to ‘building on the efforts already underway’ by the ICGLR and the SADC (Paragraph 4). The Framework also falls into the trap of some misguided international discourse bent on linking the current instability in the Great Lakes region with the problem of unequal natural resources distribution. It therefore calls for, as a strategy for peace, the ‘strengthening of regional cooperation including deepening economic integration with special consideration for the exploitation of natural resources’ (Paragraph 5.2.4). Surprisingly, no recognition whatsoever is made of the shortcomings of the international players’ role (including the UN’s role) in the current impasse of the peace process in the DRC and the Great Lakes region. Instead, international actors are merely presented as the providers of support to the regional actors as they work toward peace in the region. At most, the UN is enjoined to undertake a strategic review of MONUSCO with the aim of strengthening support to the government ‘to enable it to address security challenges and extend State authority’ (Paragraph 5.3.4). Nevertheless, it ought to be recalled that the Addis Ababa PSC Framework was not designed to be an end in itself. Rather, it aimed to lay the basic principles upon which the UN – working in close collaboration with the DRC government, regional states and other stakeholders – was expected to ground its revised DRC peace strategy as symbolised by the Security Council Resolution 2098 analysed below. 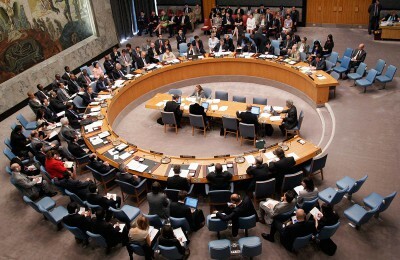 The UN Security Council Resolution 2098: Not so much groundbreaking! On 28 March 2013, the UN Security Council unanimously adopted Resolution 2098, providing, amongst other things, for the establishment within MONUSCO, of an intervention brigade tasked with neutralising and disarming (non-state) armed groups who were still threatening state and human security in the North Kivu province of the DRC. The Resolution was designed to materialise the commitments expressed by peace stakeholders in the DRC and the Great Lakes region in the Addis Ababa PSC Framework. At the same time, it sought to provide the implementation modalities to these commitments thus materialised. 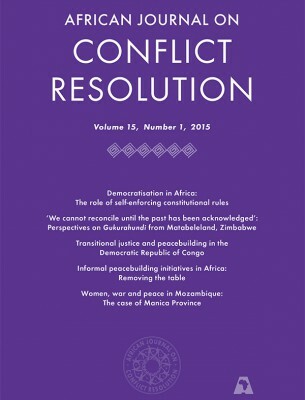 Just like the Addis Ababa PSC Framework, Resolution 2098 locates the justification for a new peace strategy for the DRC and the Great Lakes region in the recurring cycles of conflict and persistent violence perpetrated by Congolese and foreign armed groups that continue to plague the area (Preamble, Paragraphs 4; 8-14). Furthermore, the resolution reiterates the Security Council’s strong condemnation of any and all external support to the M23 through troop reinforcement, tactical advice and the supply of equipment and materiel (Preamble, Paragraph 11) – all charges laid against Rwanda and to a lesser extent Uganda by the 2013 report of the UN Group of Experts. At the same time, it condemns the destabilising role of the Congolese security institutions including the mass rapes committed in November 2012 in Minova and surrounding villages by soldiers of the national army (FARDC) (Preamble, Paragraph 19). Undoubtedly, the specificity of Resolution 2098 lies in the Security Council’s decision to establish within MONUSCO an intervention brigade tasked with neutralising armed groups, contributing to reducing the threat posed by such groups to state authority and civilian security in eastern DRC and, in so doing, making space for stabilisation activities (Paragraph 9). In terms of Resolution 2098, the Intervention Brigade will be deployed for an initial period of a year and will consist, inter alia, of three infantry battalions, one artillery battalion and one Special Force and Reconnaissance Company. The brigade will be headquartered in Goma and will operate under direct command of the MONUSCO Force Commander (Paragraph 9). While the Intervention Brigade is set to have ‘a clear exit strategy’ (Paragraph 10), the duration of its deployment in the DRC will be ultimately determined by its performance on the ground and more importantly the extent to which the UN will be satisfied with the progress made by the DRC government with regard to implementing its commitments under the Addis Ababa PSC Framework as well as ‘the establishment and implementation of a national security sector reform roadmap for the creation of a [national] “Rapid Reaction Force” able to take over responsibility for achieving the objective of the Intervention Brigade‘ (my emphasis) (Paragraph 10). Furthermore, the resolution provides that ‘future reconfigurations of MONUSCO and its mandate should be determined on the basis of the evolution of the situation on the ground and, in the context of implementation by the Government of the DRC and all other signatories of the PSC Framework, progress towards [two main] objectives’ (Paragraph 11), namely reduction of the threat posed by armed groups and stabilisation through state re-affirmation and democratic consolidation. Paragraph 9 of Resolution 2098 emphasises that the Intervention Brigade shall be deployed ‘within the authorized troop ceiling of 19,815, on an exceptional basis and without creating a precedent or any prejudice to the agreed principles of peacekeeping …’. The brigade shall ‘carry out targeted offensive operations … either unilaterally or jointly with the FARDC, in a robust, highly mobile and versatile manner and in strict compliance with international law … to prevent the expansion of all armed groups, neutralize these groups, and to disarm them in order to contribute to the objective of reducing the threat posed by armed groups on state authority and civilian security in eastern DRC and to make space for stabilization activities’ (Paragraph 12.b). The most positive aspect of Resolution 2098, just as was the case with the Addis Ababa PSC Framework, is undoubtedly its unequivocal reminder to the DRC government of its primacy with regard to peacemaking and peacebuilding in the country. It is indeed very commendable that the Security Council clearly seeks to end once and for all the persisting attitude on the part of the DRC government of deflecting its fundamental responsibilities as a state – including those in the area of civilian protection and preservation of territorial integrity – to the international community as represented by MONUSCO. In this regard and in conformity to the Addis Ababa PSC Framework, the Resolution stresses that ‘the Government of the DRC bears primary responsibility for security, protection of civilians, national reconciliation, peacebuilding and development of the country …’ (Preamble, Paragraph 24). It therefore urges government ‘to remain fully committed to the implementation of the PSC Framework and to protecting the civilian population through the swift establishment of professional, accountable and sustainable security forces, the deployment of Congolese civil administration, in particular the police, judiciary and territorial administration and the establishment of rule of law and respect for human rights …’ (Preamble, Paragraph 24). However, the most disappointing shortcoming of the resolution is its disturbing silence regarding the failure of the UN’s own (and the overall international) peace strategy in the DRC and the Great Lakes region. Instead, the Resolution praises MONUSCO for the ‘significant sacrifices’ it has made in ‘its efforts to improve peace and stability in the DRC’ (Preamble, Paragraph 30). Should this bias be attributed to the logical difficulty associated with any human exercise where an interested actor is expected at the same time to play referee? 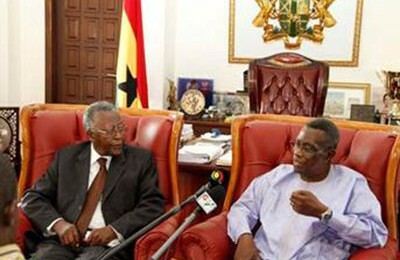 Or should the explanation be found in the overall attitude that governs West-led interventions (including through the UN) on the African continent where such interveners regard themselves as ‘knights in shining armour, seeking to assist Africa’s economic recovery, spread democracy and contribute to conflict-management efforts’ (Adebajo 2008:227)? But beside the shortcoming above relating to the refusal by the UN to criticise its mission in the DRC, a number of criticisms have been mounted against the UN Security Council (for adopting Resolution 2098) by an array of actors, sometimes for conflicting reasons. Firstly, the Security Council has been criticised for aligning itself with the Congolese government and setting itself against all non-state Congolese armed groups including the M23, some of which may have legitimate grievances that require adequate attention. This view is fully shared by the M23. As early as 2 April 2013, the group wrote a letter to the National Coordinator (DRC) of the UN Office for the Coordination of Humanitarian Affairs (OCHA), alerting him of the potential humanitarian consequences that ‘the war planned by the UN Security Council is expected to bear on the innocent populations of Rutshuru and Nyiragongo territories in North Kivu’ (M23 2013). Secondly, the Security Council has been criticised for what is considered as an attempt on its part to resolve what are actually political and governance problems with military means. As Paddon (2013) vehemently argues, rather than ‘the lack of forcefulness in MONUSCO’s mandate …, [t]he UN’s ability to play a constructive role in the DRC has been constrained by the absence of a credible political process to which the parties are committed, and by the international community’s selective and inconsistent engagement in the country’. However, notwithstanding the relevance it may carry for its call for dialogue between stakeholders within the DRC and the Great Lakes region, a close examination of this criticism reveals that it is, to a large extent, both disingenuous and naive. It fails to depict the balance between political undertakings and military interventions clearly expressed in Resolution 2098. It also fails to realise that, in spite of the RCD-Goma securing high political and military positions in the transitional institutions (2003-2006), its core troops still resisted the integration process. In so doing, this criticism falls into the trap of circular thinking that assumes that all armed groups operating in eastern DRC, including the M23, are simply freedom and democracy fighters driven by genuine grievances and merely ‘demanding good governance in [their] country’ (Bisimwa cited by BBC 2013).7 Furthermore, by assuming that peace enforcement cannot bring radical change in eastern DRC, this criticism fails to learn from the history of both the UN and the DRC. In fact, some four decades ago, it was not until the UN Operation in Congo (ONUC) fully assumed its enforcement mandate that the fragile post-independence Congolese state was able to regain full control over its Katanga province, then controlled by a secessionist leadership operating in collusion with and for the interests of foreign (mainly Belgian) forces.8 So, if the experiences of the early 1960s are anything to learn from, what is currently needed in the DRC is not the intervention brigade provided for in Resolution 2098, but rather the radical transformation of the mandate of the entire MONUSCO into peace enforcement. Only such a perspective bears the potential of avoiding MONUSCO remaining the redundant actor it has come to be known as. Thirdly, for those who have for a long time favoured a decisive military action to deal with opportunistic armed groups inclined to seeking rent and/or advancing the interests of neighbouring countries in eastern DRC, the Security Council has been accused of being both opportunistic and dishonest rather than driven by a genuine concern to make a difference in the DRC and the Great Lakes region. In fact, by rushing into the debate over the nature and the control of the intervention force, the Security Council was simply preoccupied with saving the face of MONUSCO at a time when it is increasingly perceived – rightly or wrongly – as more part of the problem in eastern DRC than the solution. Questions have therefore been raised on the Security Council’s decision regarding both the size of the intervention brigade and its geographical scope. In this regard, while praises have been sung to the UN for the new mandate provided to MONUSCO, it is but ill-informed to expect a 3 069-force brigade (in a force comprising over 19 000 troops) to make any significant difference in a province (North Kivu) spanning almost 60 000 square kilometres, larger than Rwanda and Burundi combined. Furthermore, the decision by the Security Council to restrain the operational zone of the intervention brigade to North Kivu (a province simply forming part of an instability area extending from Ituri district to northern Katanga) is nothing short of puzzling. The Addis Ababa PSC Framework and the UN Security Council Resolution 2098 constitute two important policy documents designed to contribute toward making and building peace in the DRC and the Great Lakes region. However, the two policy documents can only achieve the ambitious goals entrusted to them if the different actors involved are able to fulfil adequately and effectively their respective obligations as clearly defined in these documents. 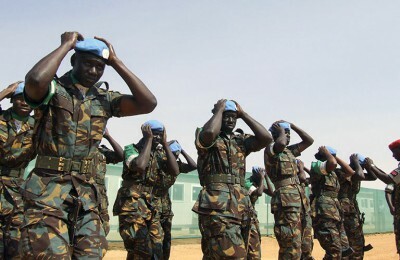 According to Adebajo (2011:7), three critical factors contribute to peacekeeping missions’ success, namely ‘the interests of key permanent members of the UN Security Council in resolving the conflict in question coupled with their eagerness to mobilise the necessary diplomatic and financial support; the willingness of belligerent parties to cooperate with the UN in implementing peace accords and the development (by the UN) of an effective strategy to deal with spoilers; as well as the co-operation of regional players in the peace process including their provision of diplomatic and/or military support to the peacekeeping effort’. So, to what extent are the DRC government, the UN and regional actors likely to contribute towards ensuring the successful implementation of the Addis Ababa PSC Framework and Resolution 2098? An array of approaches and theories has been put forward in order to explain the persisting instability in the DRC. Yet, they all tend to converge around the issue of chronic governance failure that has plagued the country since independence in 1960. The dominant features of governance failure throughout the DRC’s post-colonial experience include the inability of successive regimes to entrench constitutionalism and genuine participatory politics, the ‘institutionalisation’ of corruption and ‘privatisation’ of the public sphere, the personalisation of power and the prevalence of a de jure or de facto ‘presidentialist’ system, the collapse of the socio-economic infrastructure as well as the persistent mismanagement of the national economy. The ultimate result of this chronic governance failure has been the ‘de-institutionalisation’ of the state or, in other words, the continued disruption of the Congolese state-building process. In this context, it is thus encouraging that both the Addis Ababa PSC Framework and Resolution 2098 detail in non-ambiguous terms the array of responsibilities to be delivered upon by the Congolese government in the implementation of the new peace strategy. Although no guarantee exists that government will deliver on all these responsibilities (in fact past experiences even discourage any optimism to that effect), the adoption of such a perspective by the international community constitutes a critical step in the (right) direction of compelling the Congolese government to assume full responsibility for the country’s security, peace and socio-economic development. To this end, perhaps more than just highlighting the duties to be borne by the Congolese government throughout the implementation of the new peace strategy, the international community – led by the UN – ought to take upon itself to devise diplomatic and other strategies that ensure that the Congolese government does not renege on its responsibilities contained in the Addis Ababa PSC Framework and Resolution 2098. Of course, achieving such a goal represents a far more difficult task than can be anticipated. Firstly, a very successful implementation of the Addis Ababa PSC Framework and Resolution 2098 may actually threaten the political survival of the current ruling elite as many of its members benefit directly or indirectly from the ongoing instability in the country. Secondly, given the nature of the UN as an intergovernmental organisation and the core principles upon which its peace interventions are undertaken, the UN needs the Congolese government as much as the latter craves for UN assistance. As De Carvalho (2007:46-47) correctly puts it, ‘if the government believes that the gains of more freedom of action in its own country are superior to the gains provided by the presence of the mission, it [may] start pressuring the peacekeeping mission to leave’. In the post-Westphalian world system, the onus of ensuring the national security and protecting the territorial integrity of a state lies with the particular state government of the day. However, in the post-Second World War era, the UN is entrusted with the responsibility of complementing the efforts of individual states or groups of states in the area of peace and security. As enshrined in its Charter, the UN has the primary (and exclusive) responsibility of ensuring international peace and security. But beyond the Charter, the primacy of the UN with regard to preserving international peace and security is further emphasised in non-ambiguous terms in the Responsibility to Protect doctrine that the UN embraced since 2005. According to this doctrine, individual states have the responsibility to protect their populations from war crimes, crimes against humanity and genocide (ICISS 2001). However, should a state display incapacity or unwillingness to protect its population or even become a security threat to the latter, the UN has the duty to intervene either unilaterally or in collaboration with the state in order to address all threats to civilian protection (ICISS 2001). In this context, it is therefore not exaggerated to argue that the UN bears as much responsibility for the successful implementation of the PSC Framework and the success of the intervention brigade as the DRC government itself. This becomes even clearer when considering that the intervention brigade has been deployed within and under the total command and control of MONUSCO. Although both the PSC Framework as well as Resolution 2098 have fallen short of explicitly criticising the UN and its peacekeeping missions in the DRC (MONUC9 and MONUSCO) for their shortcomings, it is a well documented fact that the peace strategy adopted by the UN for the DRC since 1999 has been to a significant extent inadequate and detached from the reality and complexity of the conflicts on the ground (Soderlund et al. 2012). In fact, in a joint press statement released on 16 May 2013, a week before their joint visit to the DRC, UN Secretary-General Ban Ki-Moon and World Bank President Jim Yong Kim argued that in order to put an end to the recurring tragic conflicts in the DRC, there is need for a new strategy that moves away from merely managing crises and their consequences and rather focuses on addressing the root causes of the problems (Radio Okapi 2013). The fact that this view is also enshrined in Resolution 2098 is a tacit admission by the UN that its past peace strategy for the DRC and the Great Lakes region had not been grounded on a sound analysis and understanding of the conflicts that ought to be addressed. Criticisms have equally been levelled against MONUSCO and its predecessor, MONUC, for their weak mandate. In late 2008, Spanish General Vicente Diaz De Villegas resigned merely three weeks after assuming the position of MONUC force commander citing a ‘dangerous mission creep’. He emphasised that, unless granted a clear peace enforcement mandate, MONUC could not be expected to contribute decisively to the advent of durable peace in the DRC (Reynaert 2011:17). The views expressed by General De Villegas echoed provisions already contained in the 1999 Lusaka Ceasefire Agreement. Although the Agreement did not specifically use the phrase ‘peace enforcement’, its signatories called for a UN-led peacekeeping mission empowered to track down and disarm all armed groups (my emphasis); identify all perpetrators of war crimes, crimes against humanity and genocide and report their cases to an appropriate international criminal court; and employ both persuasion and coercion in the implementation of initiatives and activities relating to the Demobilisation, Disarmament, Reintegration, Resettlement and Repatriation (DDRRR) processes (Linelit 1999:21-22). Yet, until the eruption of the M23 rebellion in May 2012 followed by the fall of Goma to the rebels some six months later, the UN was yet to fully heed the calls contained in the Lusaka Ceasefire Agreement and General De Villegas’ statement above. 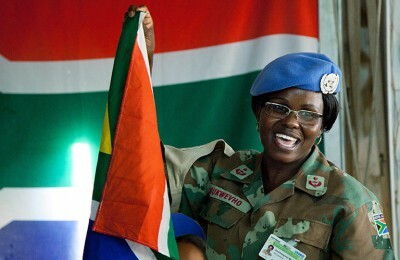 Instead, the transformation of MONUC into MONUSCO in July 2010 could be regarded as a ‘survival strategy’ on the part of the UN mission after the Congolese government openly called for its withdrawal from the country by the end of 2010.10 Furthermore, the decision by the UN to deploy the intervention brigade appears as another expedient strategy by the global body to maintain itself at the centre of the peace process in the DRC. This is insofar correct as when ICGLR member states (supported by their SADC counterparts) called for the deployment of a neutral force in eastern DRC, they did not envisage this force as part of MONUSCO, perhaps as a result of their lack of trust into the UN stabilisation mission. In the end, it appears that a compromise was found as the intervention brigade falls under MONUSCO command while the brigade command has been entrusted to Tanzanian General James Mwakibolwa. Beside the DRC government and the UN, the success of the new peace strategy will also depend on the actions of the other internal and regional role players that have stakes in the ongoing peace efforts in eastern DRC and the Great Lakes region. At the national (DRC) level, successive UN reports have demonstrated the extent to which senior Congolese officials within government institutions continue to undermine efforts designed to entrench principles of good governance in the country. Some, including senior army officers, have gone as far as transacting with armed groups keen to controlling resource-rich areas, even supplying them with weapons (Global Witness 2013a; Soderlund et al. 2012:18). Furthermore, there is need to relook at the issue of local armed groups and militias (including the Mai-Mai), focusing specifically on the conditions that contribute to their emergence and maintenance. While the intervention brigade has been empowered to confront these groups and eventually disarm them, the military effort ought to be complemented by government commitment to breaking off support to its allies among these groups, tackling the land issue, re-affirming the national security forces as well as strengthening government institutions at the provincial and local levels. Lastly, the DRC government, working in partnership with the UN and its other international partners, ought to design clear reconciliation initiatives to be implemented at the local, provincial and national levels. In short, the Congolese government needs to embrace the precepts of good and responsive governance. At the regional (Great Lakes) level, adequate attention ought to be paid to Rwanda and Uganda which have repeatedly been involved in the DRC either directly or through the provision of support to armed groups opposed to the Congolese government. It has been argued that, in recent years, Rwanda and Uganda have come to regard continued instability in their respective border regions with the DRC as consistent with their national security and the financial interests of their ruling elites (Jones 2012a; 2012b). As a recent report by Global Witness (2013b) revealed, minerals (mainly tin and tantalum) smuggled out of Congo into Rwanda are ‘laundered through the country’s domestic tagging system and exported as “clean” Rwandan material’. In this regard, perhaps, what is currently needed is a movement beyond mere diplomatic normalisations and joint military operations (without necessarily discounting their positive aspects) to explore additional strategies for peace in the Great Lakes region. Speaking at the first regional oversight mechanism meeting held on Sunday 26 May 2013 in the margins of the AU Summit in Addis Ababa, Tanzanian President Jakaya Kikwete suggested that as much as the Congolese government is requested to engage its armed opposition, Rwanda and Uganda should equally explore ways of directly engaging their respective armed oppositions based in the DRC. While reluctantly welcomed by Ugandan President Yoweri Museveni, Kikwete’s proposal was dismissed by Rwanda’s Minister of Foreign Affairs and Co-operation, Louise Mushikiwabo, as ‘aberrant’ and ‘shocking’, coming from a ‘sympathiser’ of the FDLR who does not understand what he is talking about (Muhame 2013). A few days later, President Kagame (cited by Rutayisire 2013) qualified Kikwete’s suggestion as ‘utter nonsense’, due to either ‘ignorance’ or ‘an ideological problem’. Kikwete’s proposal and the debate it has sparked bring to the fore a very important dimension of the persistent instability in eastern DRC and the ongoing peace effort in the DRC and the Great Lakes region, namely the issue of foreign armed groups operating on Congolese territory. There is no doubt that the intervention brigade, due to amongst others its limited geographical scope, cannot address effectively this complex issue. Yet, in the absence of a clear commitment from Rwanda and Uganda to agree to some form of political dialogue with these groups, the Congolese government is reminded that the re-affirmation of the country’s national security forces should undoubtedly be regarded as the most important tool in any strategy aimed at bringing durable peace back to the country’s eastern region. Fifteen years have already elapsed since the eruption of the Second Congo War in August 1998. By 2003, massive international pressure and assistance compounded with a sense of national pride from Congolese socio-political stakeholders enabled the establishment of a transitional mechanism that seemed to pave the way to the country’s recovery. The successful completion of the transition as symbolised by the widely praised 2006 elections further strengthened the shared optimism regarding the possibility of a brighter future for the DRC and its people. However, seven years since the official end of the transition, the DRC remains a fragile society while its peace and stabilisation processes stand on shaky ground. The seizure of Goma by the M23 in November 2012 served as a testimony to the impasse of the recovery process. The embarrassment it brought to the Congolese government, the UN and the countries believed to be providing support to the rebellion, namely Rwanda and Uganda, became the much awaited turning point for a radical evaluation of the relevance of the peace strategy being pursued in the DRC and the Great Lakes region in the past two decades. The result was the signing of the Addis Ababa PSC Framework on 24 February 2013 that paved the way for the adoption of Resolution 2098 by the UN Security Council on 28 March 2013. The Addis Ababa PSC Framework and Resolution 2098 are premised on the need for more assertive interventions in the political and diplomatic arena as well as the military field as critical components to the search for durable stability and sustainable peace in the DRC and the Great Lakes region. While some have criticised the new strategy for being little and arriving late, others have disputed its ability to make any significant contribution to peace and stability in the DRC and the Great Lakes region because of its blatant bias towards an unresponsive Congolese government and its inclination to prioritising military solutions to political problems. Whereas there is some relevance in the different criticisms levelled against the new peace strategy represented by the Addis Ababa PSC Framework and Resolution 2098, it would be mistaken for peace stakeholders in the DRC and the Great Lakes region (including the Congolese government and the UN) as well as analysts to regard these two policy documents as an end in themselves. Rather, they should be considered as critical stepping stones toward the much needed overhaul of the peace strategy that has dominated peacemaking and peacebuilding initiatives in the DRC and the Great Lakes region in recent years. Lastly, the Addis Ababa PSC Framework and Resolution 2098 cannot be regarded as a panacea. Their success will to a large extent depend on the ability of the DRC government and the UN (through MONUSCO) to fulfil effectively their respective roles as primary stakeholders in the DRC peace process. Furthermore, there is need to maintain a balance between political processes (as clearly stated in the Addis Ababa PSC framework) and the military action entrusted to MONUSCO’s intervention brigade (as provided for in Resolution 2098). Only such an integrated approach has the potential of ensuring that the Congo’s neighbours (mainly Rwanda and Uganda) with interests in the Congo’s peace process as well as Congolese and non-Congolese armed groups still active in the eastern region and bearing legitimate grievances become active agents in the successful implementation of the new peace strategy. Adebajo, Adekeye 2008. An axis of evil: China, the United States and France in Africa. 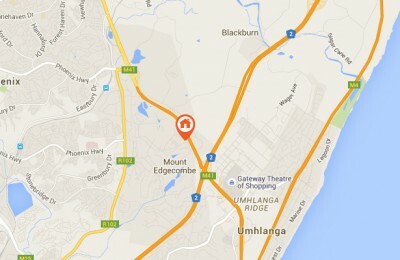 In: Ampiah, Kweku and Sunisha Naidu eds. Crouching tiger, hidden dragon? Africa and China. 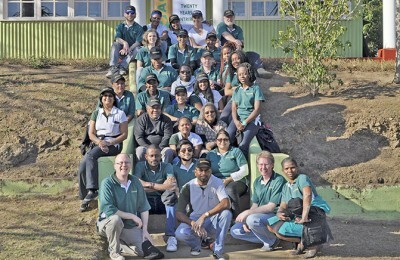 Pietermaritzburg, University of KwaZulu-Natal Press. pp. 227-258. 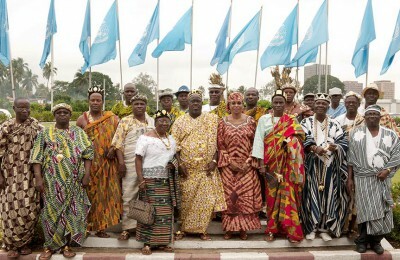 Adebajo, Adekeye 2011. UN peacekeeping in Africa: from the Suez crisis to the Sudan conflicts. Boulder/London, Lynne Rienner. Bosco, David 2013. When peacekeepers go to war. Available from: <http://bosco.foreignpolicy.com/posts/2013/03/28/when_peacekeepers_go_to_war> [Accessed 2 April 2013]. British Broadcasting Corporation (BBC) 2013. DRC Congo conflict: M23’s Bisimwa rejects UN force. Available from: <http://www.bbc.co.uk/news/world-africa-21993655> [Accessed 2 April 2013]. Congrès National pour la Défense du Peuple (CNDP) 2012. Communiqué de presse no 011/ANC/CNDP/2012, Rutshuru. De Carvalho, Gustavo 2007. 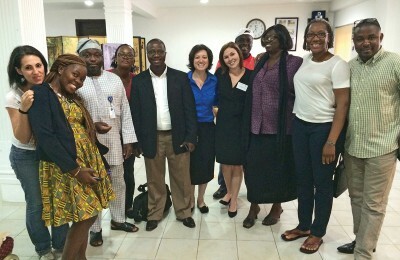 MONUC and post-electoral challenges in the Democratic Republic of the Congo. 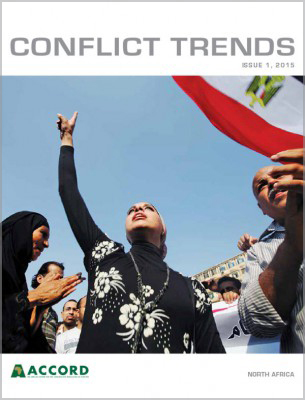 Conflict Trends, Issue 4, pp. 41-47. De Koning, Ruben and the Enough Team 2013. Striking gold: How the M23 and its allies are infiltrating Congo’s gold trade. Available from: <http://www.enoughproject.org/files/StrikingGold-M23-and-Allies-Infiltrating-Congo-Gold-Trade.pdf> [Accessed 14 October 2013]. Global Witness 2013a. Putting principles into practice. Risks and opportunities for conflict-free sourcing in eastern Congo. Available from: <http://www.globalwitness.org/sites/default/files/library/Putting%20principles%20into%20practice.pdf> [Accessed 30 September 2013]. Global Witness 2013b. New investigation from Global Witness reveals high-level military involvement in eastern Congo’s gold trade. Available from: <http://www.globalwitness.org/library/new-investigation-global-witness-reveals-high-level-military-involvement-eastern-congos-gold> [Accessed 30 September 2013]. International Commission on Intervention and State Sovereignty (ICISS) 2001. The responsibility to protect. Report of International Commission on Intervention and State Sovereignty. Ottawa, International Development Research Centre. Jones, Pete 2012a. 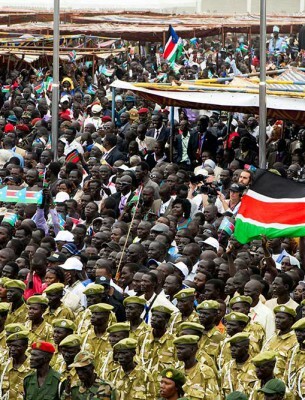 M23 in the Kivus: Regional war and then a repeat of the 2009 accord? Available from: <http://www.opendemocracy.net/print/67606> [Accessed 31 May 2013]. Jones, Pete 2012b. Rwanda’s connection to the M23 rebels must not be ignored. Available from: <http://www.opendemocracy.net/opensecurity/pete-jones/rwandas-connection-to-m23-rebels-must-not-be-ignored> [Accessed 31 May 2013]. Kambala, Olivier 2010. The United Nations in the DRC: Unanswered issues throughout Security Council resolutions 143 (1960) to 1925 (2010). Congo Memory Institute Bulletin, 1 (1), pp. 2-4. Ligue Nationale pour des í‰lections Libres, Indépendantes et Transparentes 2011. Accord de Lusaka pour un cessez-le-feu en République Démocratique du Congo et modalités de sa mise en Å“uvre. Kinshasa, Linelit. Malan, Mark and João G. Porto 2004. Introduction. In: Malan, Mark and João G. Porto eds. 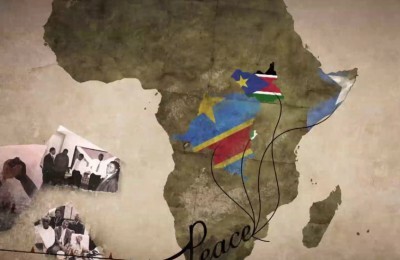 Challenges of peace implementation: The UN mission in the Democratic Republic of the Congo. Pretoria, Institute for Security Studies. pp. 1-21. Mouvement du 23 Mars (M23) 2013. Lettre officielle í Monsieur le Coordonnateur National d’OCHA/RDC í Kinshasa, Bunagana 2 April 2013. Muhame, Giles 2013. Congo Rebels: Kikwete kicks up storm in Rwanda. Available from: <http://chimpreports.com/index.php/news/news-as-it-happens-around-the-east-african-region/10360-congo-rebels-kikwete-kicks-up-storm-in-rwanda.html> [Accessed 31 May 2013]. Nations Online Project 2013. Administrative map of the DRC. 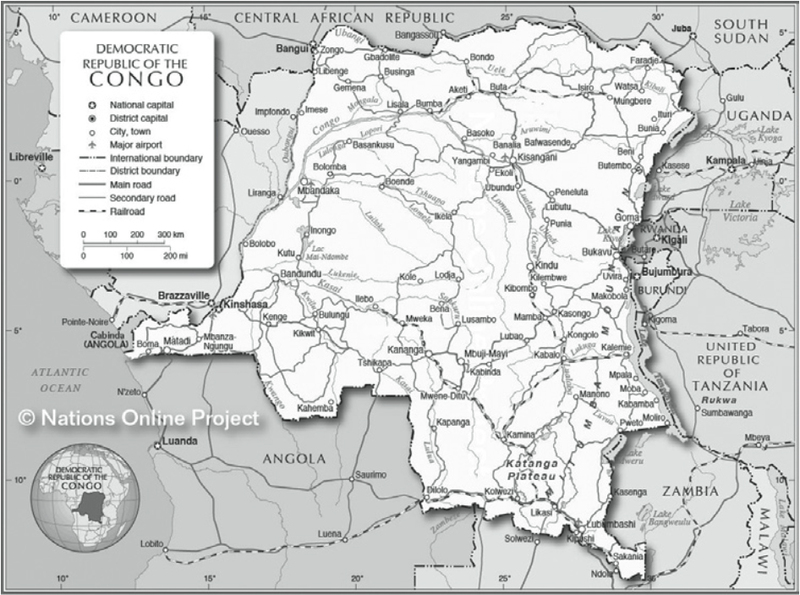 Available from: <http://www.nationsonline.org/oneworld/map/dr_congo_map.htm> [Accessed 27 September 2013]. Paddon, Emily 2013. The perils of peacekeeping without politics: MONUC and MONUSCO in the DRC. 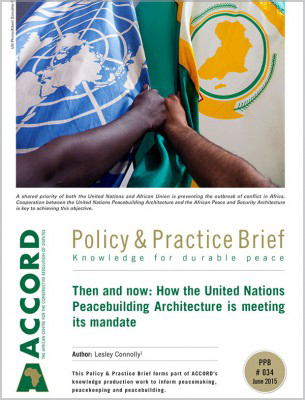 Available from: <http://riftvalley.net/resources/file/RVI%20Usalama%20Project%20-%20Briefing%20Paper%203%20-%20UN%20peacekeeping%20in%20the%20DRC.pdf> [Accessed 21 May 2013]. Radio Okapi 2012. Kinshasa et Kigali approuvent le déploiement d’une force ‘neutre’ le long de leur frontière commune. Available from: <http://radiookapi.net/actualite/2012/07/15/kinshasa-kigaki-approuvent-le-deploiement-dune-force-neutre-le-long-de-leur-frontiere-commune/> [Accessed 13 May 2013]. Radio Okapi 2013. Grands Lacs: La paix et la stabilité dépendront ‘des dirigeants de la région’. Available from: <http://radiookapi.net/actualite/2013/05/17/grands-lacs-la-paix-la-stabilite-dependront-des-dirigeants-de-la-region/> [Accessed 17 May 2013]. Reynaert, Julie 2011. Monuc/Monusco and civilian protection in the Kivus. IPIS Interns and Volunteers Series. Reyntjens, Filip 2007. Democratic Republic of Congo: political transition and beyond. African Affairs, 106 (423), pp. 307-317. Rutayisire, Emmanuel 2013. Kagame speaks out on Kikwete’s call for negotiations with FDLR rebels. Available from: <http://www.theeastafrican.co.ke/news/Kagame-hits-back-at-Kikwete-over-FDLR-spat/-/2558/1878194/-/80j0daz/-/index.html> [Accessed 11 June 2013]. Schrank, Delphine 2012. Democratic Republic of Congo. In: Genser, Jared and Irwin Cotler eds. The responsibility to protect: The promise of stopping mass atrocities in our time. New York, Oxford University Press. pp. 316-345. Soderlund, Walter C., E. Donald Briggs and Tom Pierre Najem 2012. Africa’s deadliest conflict: Media coverage of the humanitarian disaster in the Congo and the United Nations response 1997-2008. Waterloo, Wilfrid Laurier University Press. United Nations 2013. UN Envoy tells Security Council there is ‘renewed opportunity’ for DR Congo peace efforts. 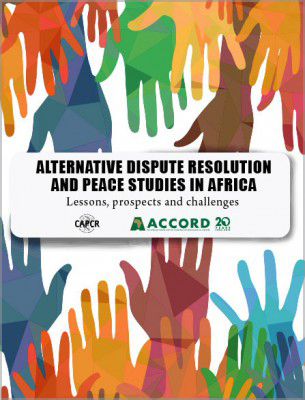 Available from: <http://www.un.org/apps/news/story.asp?NewsID=44836&Cr=democratic&Cr1=congo> [Accessed 22 May 2013]. 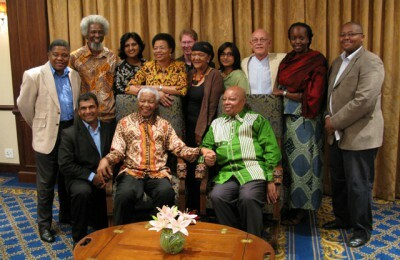 United Nations Group of Experts 2012. Final Report of UN Group of Experts on the DRC submitted in accordance with Paragraph 4 of Security Council Resolution 2021 (2011). Available from: <http://www.un.org/ga/search/view_doc.asp?symbol=S/2012/843> [Accessed 27 June 2013]. Vlassenroot, Koen and Timothy Raeymaekers 2009. Kivu’s intractable security conundrum. African Affairs, 108 (432), pp. 475-484. Wright, Alexander 2008. Ethnic identity in the Democratic Republic of Congo. In: Kotzé, Dirk and Hussein Solomon eds. The state of Africa: Post-conflict reconstruction and development. Pretoria, Africa Institute of South Africa. pp. 81-105. However, it ought to be recalled that as early as July 2012, the Congolese and Rwandan governments had agreed in principle on the deployment of a neutral force tasked with monitoring their common borders as well as eradicating all negative forces operating in the Great Lakes region. This position was endorsed by the International Conference on the Great Lakes Region (ICGLR) in August 2012 although no practical steps were taken in mobilising such a force in real earnest. See Radio Okapi (2012). The other nine ICGLR countries that signed the Addis Ababa PSC Framework are Angola, Burundi, Central African Republic, Republic of the Congo, Rwanda, South Sudan, Tanzania, Uganda and Zambia. It would be mistaken to approach the conflict experienced by the DRC in the last two decades in ‘singular’ number. Such reference seeks merely to conform to the existing literature on the matter while recognising the ‘plurality’ of the conflict, representing ‘an aggregate of different conflicts with different dynamics’ (Wright 2008:81). Mixage involved the coming together of already constituted battalions belonging to different belligerent groups to form new brigades. This means that the battalions would preserve their internal structure, organisation and leadership. Its consequence was the emergence of brigades that lacked cohesion and coherence, devoid of any capacity to operate as units. Brassage consisted of building all units of the new national and integrated army from scratch, ensuring that all the new units from the lowest level upward were inclusive of all wartime belligerent groups. Furthermore, the units thus integrated were to be deployed wherever the army’s national leadership saw fit. It should be noted that although only nine armed groups, including the CNDP, signed the Acte, there were 22 of them at the Goma Conference (Schrank 2012:318). Most of them were at the time paper organisations, more interested in the daily financial allowances (US$ 135) earmarked for all participants to the conference. Bertrand Bisimwa is the current political leader of M23. For lessons from ONUC that may apply to MONUSCO, see Bosco (2013). It ought to be noted that this author does not believe that the Congolese government was right in requesting MONUC to start withdrawing from the country as early as 2009. 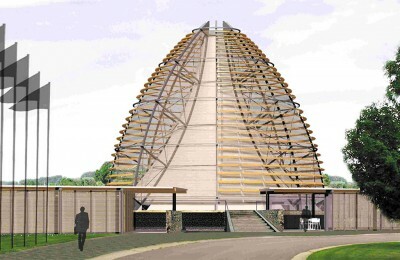 The pretence by the government of being able to ensure national security and defend the country’s territorial integrity has since been exposed as recently exemplified by the national army’s inability to defeat the M23 rebellion, notwithstanding the alleged support provided to the latter by Rwanda.